Remember the program on Monday, April 24 at 6:30 p.m. will be held at the Kino Conference Center (next to the Grill). Rocio Cespedes Patel from Tubac Olive Oil will bring the wonderful flavors of her olive oils and balsamic vinegars. This is a perfect opportunity to learn more about these delicious and healthy local products. Recipients of this year’s Scholarships will be joining us for their acceptance at the beginning of the April program. Be sure to welcome them and let them know how proud we are of them and their accomplishments! 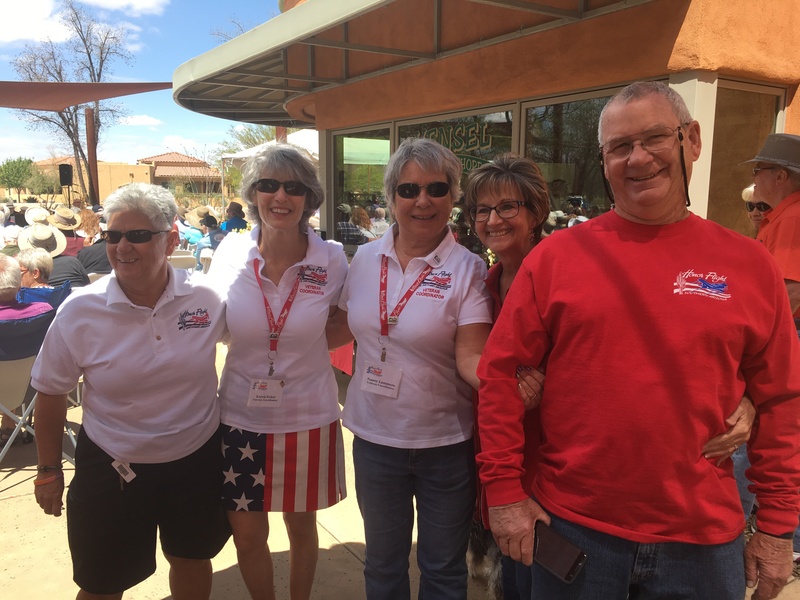 The 5th annual Honor Flight Support event at the Shoppes at La Posada Java was incredible. The support from our community was fabulous and the music was delightful! Thanks to all of you that were there to support. 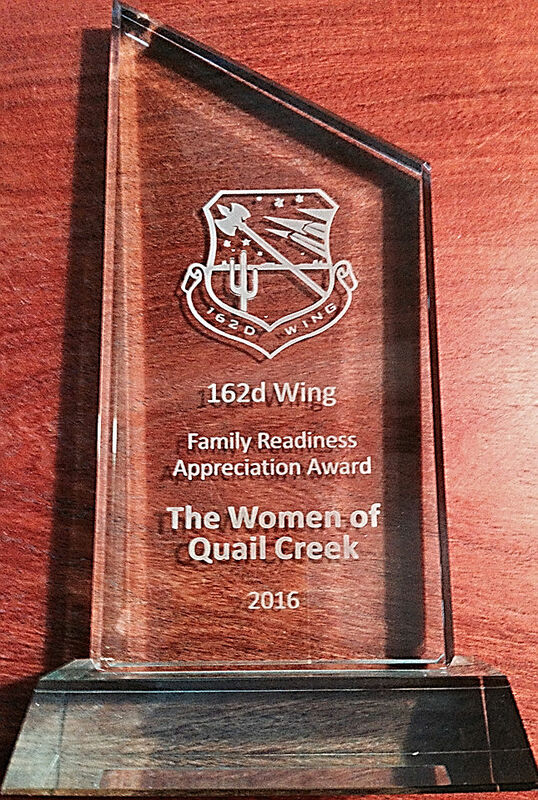 What an honor it was for Pam Rodgers and me to accept, on behalf of TWOQC, the “Family Readiness Appreciation Award” from Brigadier General MacDonald of the 162d Wing Air National Guard. 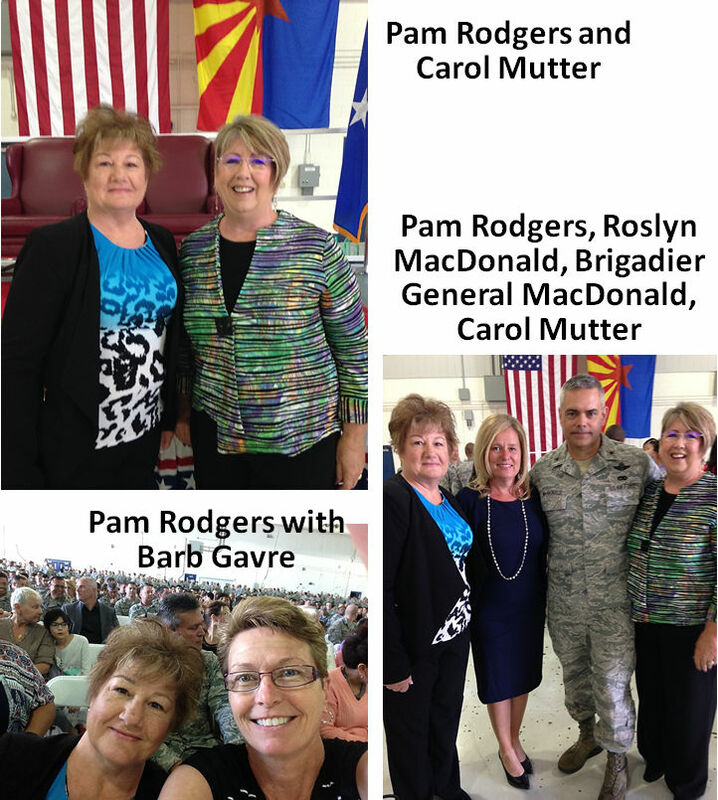 The Arizona Air National Guard wanted TWOQC to know how much they appreciate the service and talent of our organization to make life a little easier for active military families having and raising their children while serving their country. We are anxiously awaiting the birth of 2 more of our babies! Both are due this week. We are just 5 weeks away from “Shower Week”! If you are leaving soon for the summer, please consider a donation for the babies before you go. We could really use some stroller-size blankets and baby wash. Also, outfits/onesies for our parents who have chosen not to know the gender of their new little one… perhaps something in green, yellow, grey or brown/beige. Our next meeting is Wednesday, April 12 at 1:00 p.m. in the Kino Conference Room. Donations may be dropped off at the boxes at Madera Clubhouse lobby or at Pam Rodgers front porch (2640 E. Sawyer Road). «map» Please email your questions to the «Baby Shower Chair». 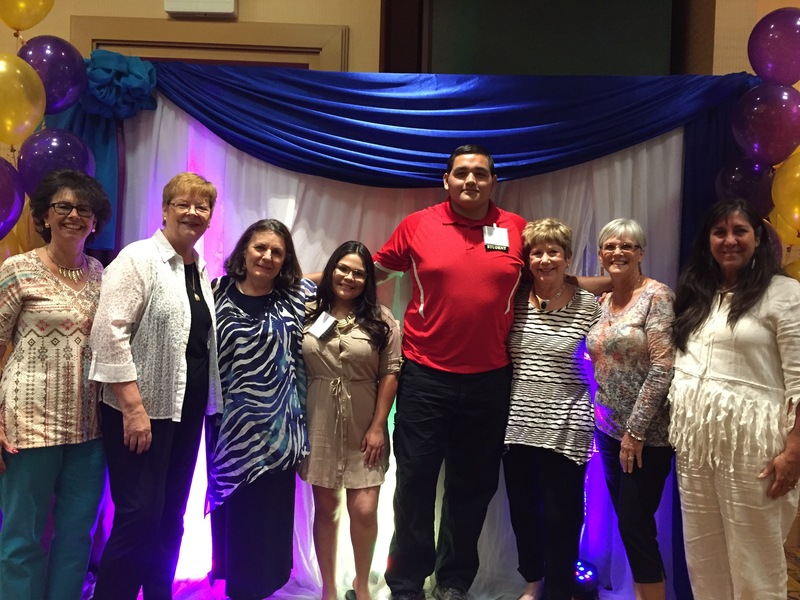 Five members of the committee to support Youth on Their Own (YOTO) attended the organization’s Spring Luncheon last week. Kathie Berry, Pat Bencic, Christy Caldwell, Cindy Hogg and Diane Quinn had the opportunity to meet YOTO students and alumni and learn how YOTO has helped them. As some of you head to cooler climates, we wish you safety in your travels, a glorious summer and then a safe return to our area in the fall. Before you leave, we ask you to check your pantries to see if there are any non-perishable items that will expire before you return in the fall. If you have non-perishable foods that have expired or will expire while you are away, the Green Valley Food Bank will accept canned goods that are within one year of the expiration date. Packaged goods (cereal, seasoning packets, dried fruit) must be within 6 months of the expiration date to be accepted. 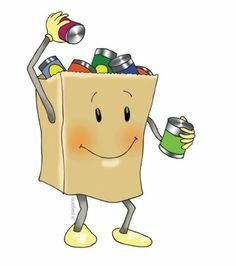 Items may be dropped off at the Food Bank at 250 E. Continental Road, Mondays-Fridays between 7:00 a.m. and 3:00 p.m. Drop-off location is at the rear of the store. 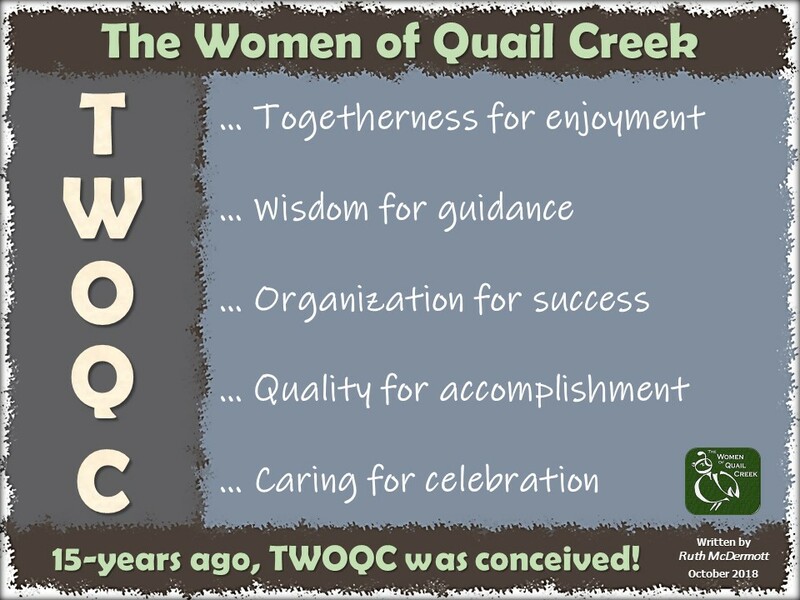 «map» TWOQC will have our semi-annual Food Bank Collection at our program on April 24. The “Jeopardy!” game is coming this summer… stay tuned!